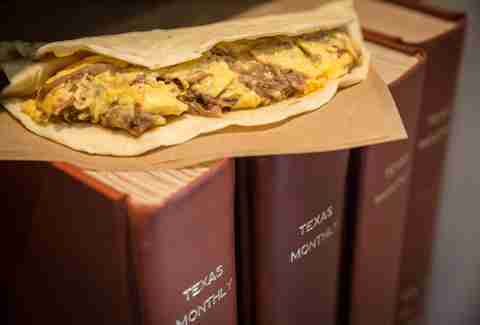 The Pecos: Served -- like all their selections -- with your choice of a fresh corn tortilla or a flour tortilla that's made using a Texas ex-pat's family recipe, this classic's stuffed with eggs and shredded brisket. The Trinity: Holy bacon, eggs, and potato, Batman! 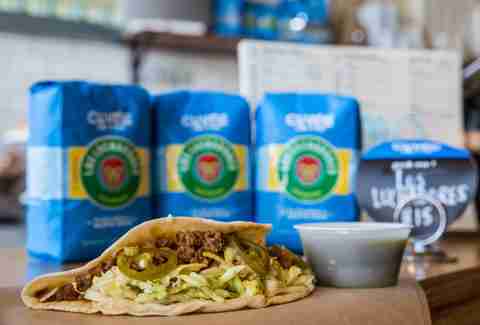 The Picadillo: This lunch-dude's stuffed w/ ground beef, pickled jalapenos, potatoes, and cabbage. 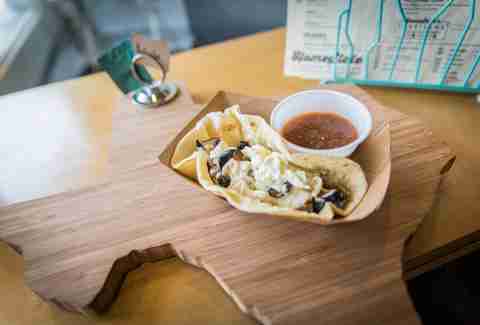 The Blanco: In case you're on a diet that you only kinda follow, this one's got egg whites (!) and black beans. Like all the rest, it's also served with their spicy/savory homemade salsa. 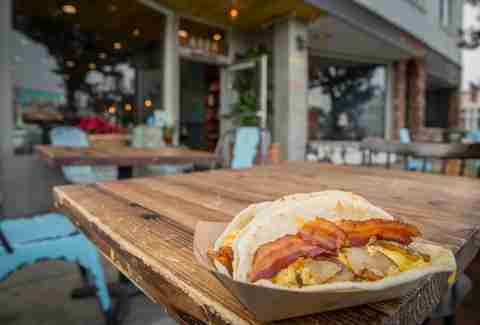 The revered taco spot, now on the Westside... with booze!!! 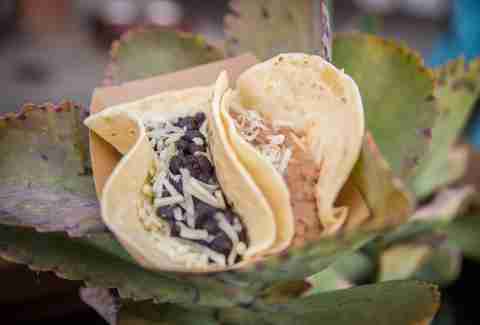 The Neces: This guy has the option (hahahaha, right) of "black beans" or "bacon-laden, refried charro beans". 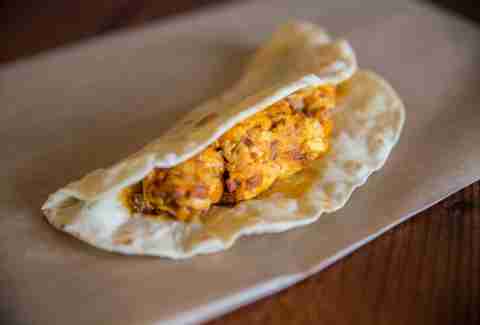 The Guadalupe: Stuffed w/ scrambled chorizo and egg, this b-fast taco's named after a street in Austin/could also end a US/Mexico conflict. 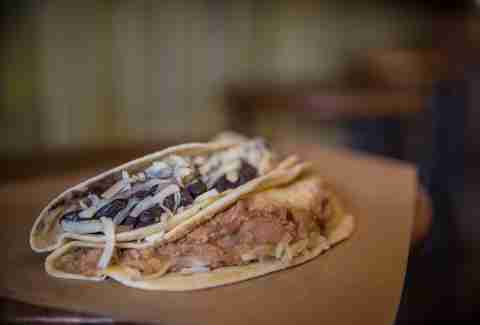 The Frio (on right): Basically a bean-and-cheeser, only these legumes are -- like everything else -- made magic-er with bacon. 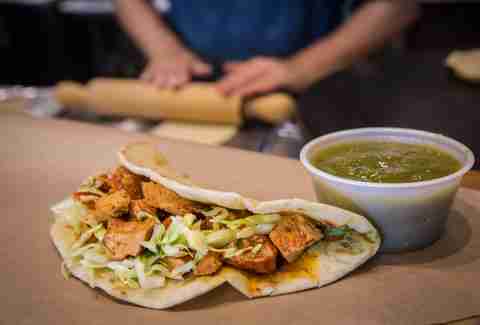 The Chicken: This super-creatively named number's got achiote pollo and their chunky, homemade guacamole, which's also available as a side item. 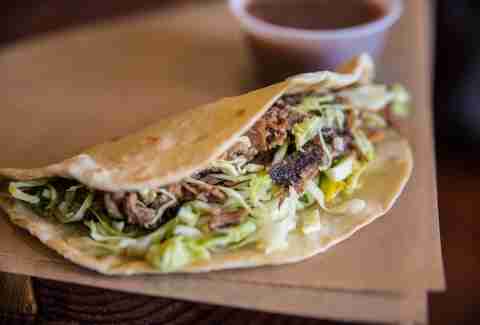 The Brisket: This guy's got crisped-up beef made even crunchier with cabbage, and guac-ier with... guac. 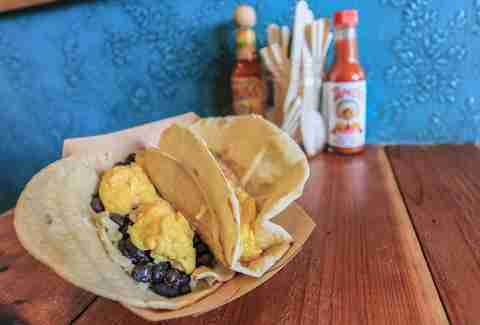 The Brazos (on left): Finally, here's the black bean-and-cheese Brazos. 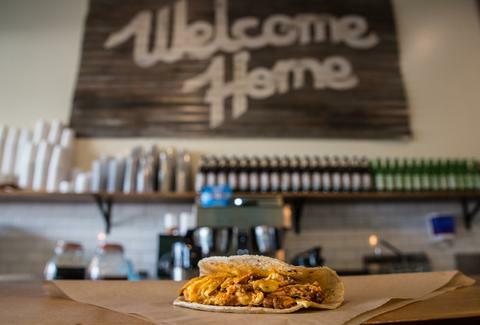 If you've had enough tacos* (*impossible), they've also got a non-Velveeta queso dip spiced up with actual peppers, and migas -- which are essentially scrambled egg-nachos.